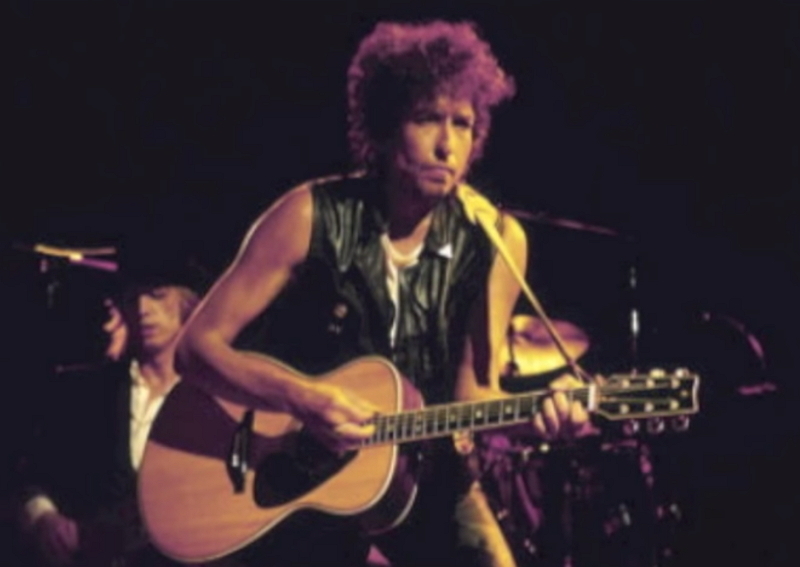 Ever a man of moods, Dylan returns to blazing form with a terrific 95-minute, 17-song set. 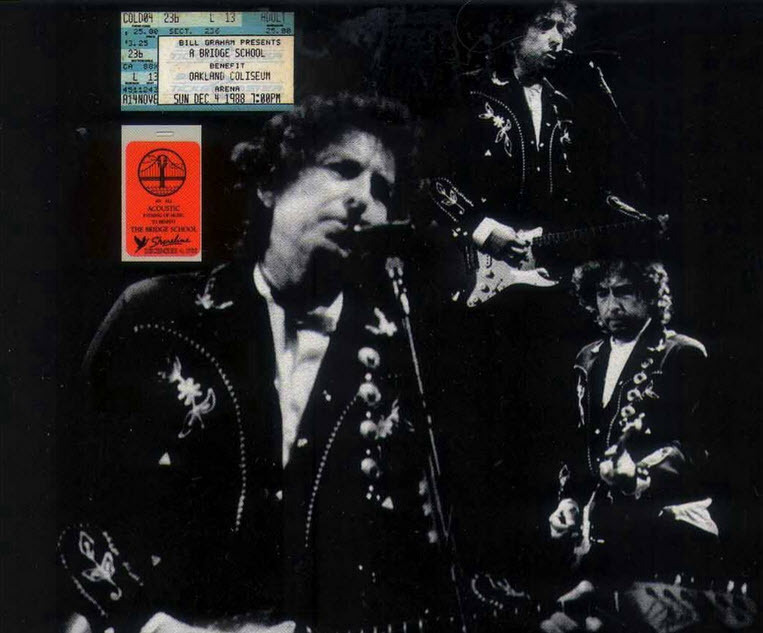 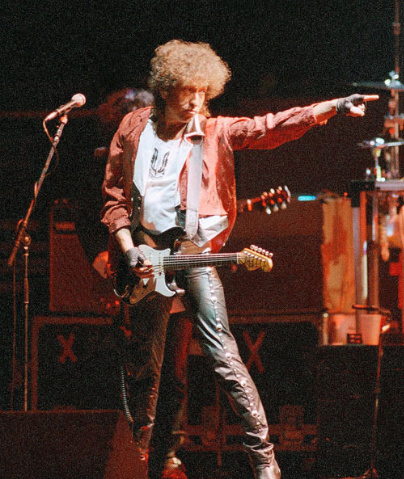 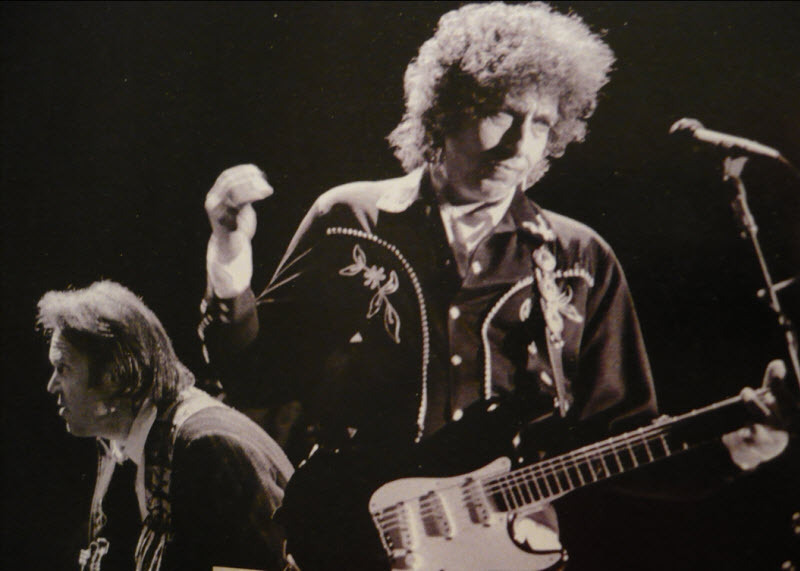 Again a wealth of songs are introduced, five songs in the electric sets being performed for the first time on the 1988 tour: “Joey,” “Watching the River Flow,” “Tangled Up in Blue,” “It Takes a Lot to Laugh,” and Glen Glenn’s “Everybody’s Movin’.” Also introduced into the acoustic set are “San Francisco Bay Blues,” which is met with whoops of recognition by the Bay Area audience, “The Times They Are a-Changin’,” and a sensitive “Rank Strangers to Me,” the second selection from Dou:n in the Groove. 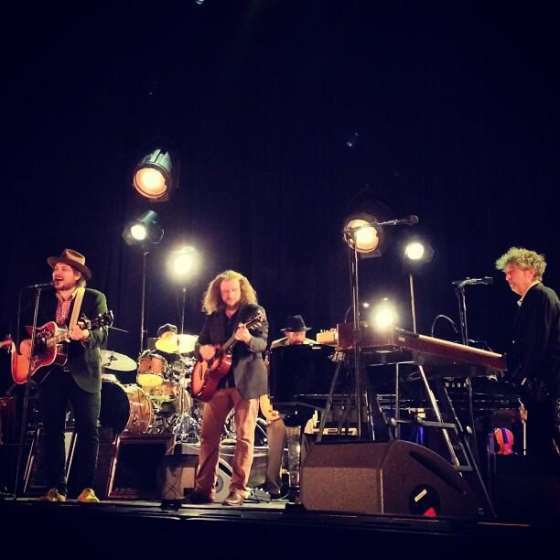 Neil Young joins the band for the second electric set, staying on stage for the remainder of the show.